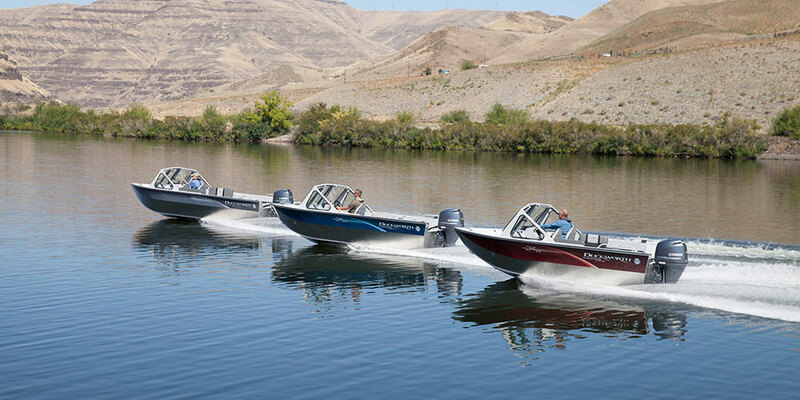 Situated on the banks of the Snake River and Clearwater River, our welded aluminum boat manufacturers ship their products to all corners of the world. Stronger and lighter than fiberglass, our welded aluminum boats meet and exceed all of the industry’s standards. The Snake River Boat Builders are a consortium of boat builders, dedicated to bringing the strongest, most durable welded aluminum boats to market. Custom designs are available for any use imaginable, from military applications, to moving freight in extremely remote areas. Conquering big whitewater is their heritage, and the welded aluminum product has become very popular for typical lake and saltwater boating uses. Contact one of the manufacturers today to start the beginning of a new boating adventure for your family or business!